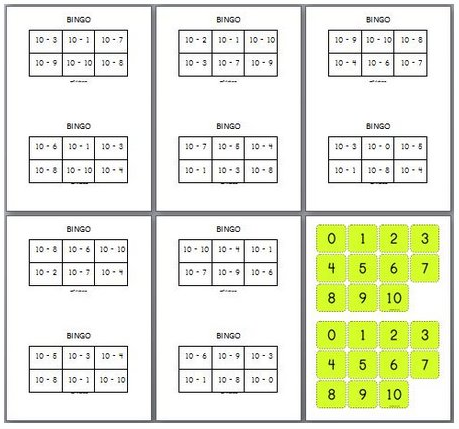 The pdf file includes 20 A5-size Bingo grids, each with six Bonds to 10 number sentences. Each child receives one bingo board. The one with bingo calling cards will give the ‘addend’ (answer) to any number sentence. Children will find the number sentence on their bingo board. The one who completes the 6 grids win.